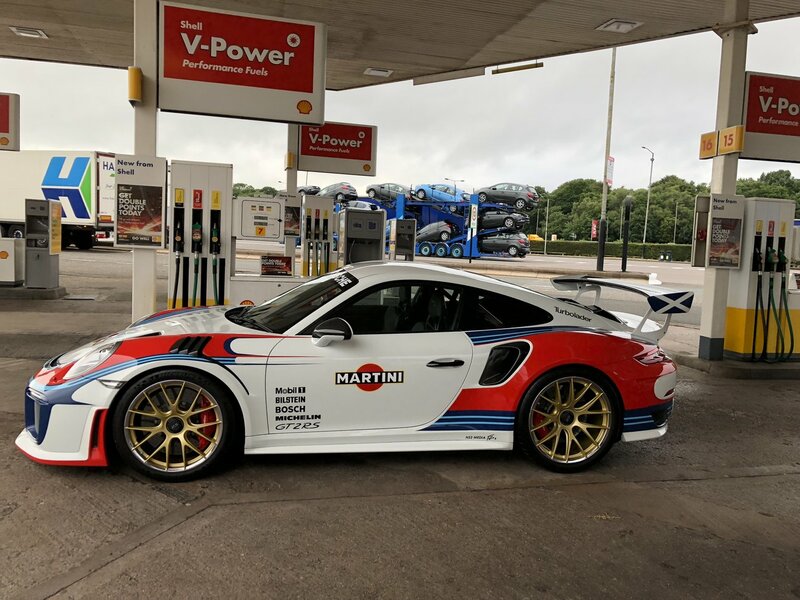 That the same guy with the blue 911r? Who is it? Stays in Edinburgh IIRC. 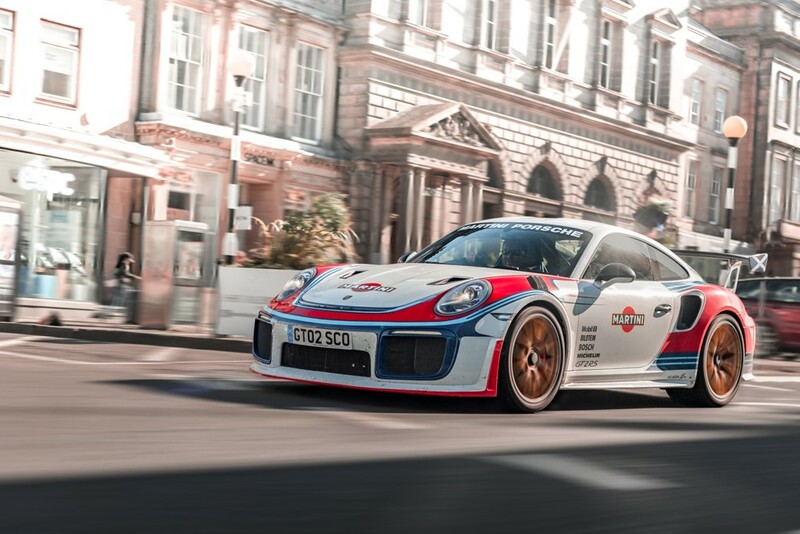 I love the Martini style designs but its just doesn't seem flow to me, gut instinct is a bit "nah" for me. I think its how it rear of the doors are bare. I dare say in the metal is nice and fair play for going to those lengths. Id love to see it on a set of split rims more akin to the originals or all gold as I think that small polised rim doesn't work. What do I know though, I'll sit and play with my £20 decals . 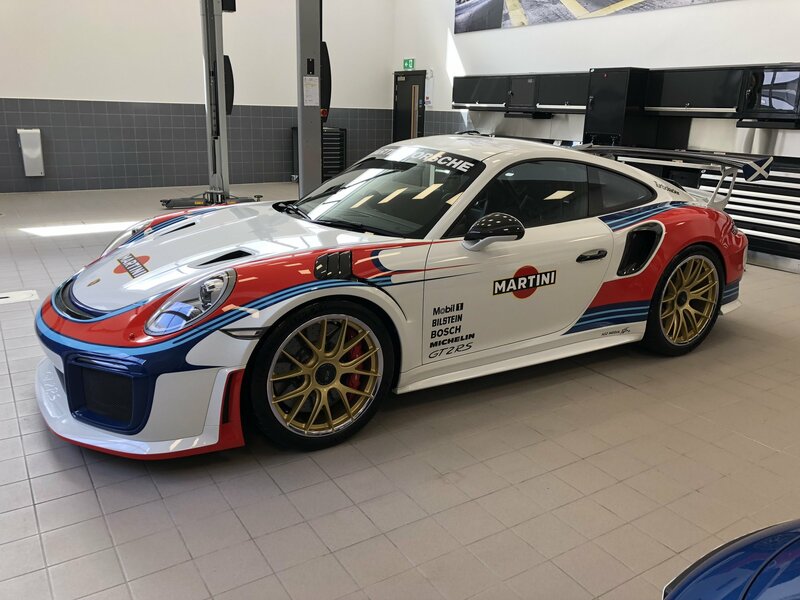 He has the GT2 painted at Porsche Reading, also has his 911R stripped from New and painted blue by Porsche Reading.